1. How long do you wanna stay? Everland is big and far from Seoul (around 1 1/2 hour one way). Lotte World in Jamsil station just takes less than 40 minutes from central Seoul and smaller. 2. The rides or the view? Well, Everland actually thiiiis close to win both the view and the rides but bear in mind that rides in Everland generally have 30-40 minutes waiting time and the amazing T-ex never had less than 60 minutes waiting time. If you don't really like rides but you like the Disneylike view, Lotte World best suits you. Before the ride with my Filipino friend, Ashley. 3. Who's coming with you? 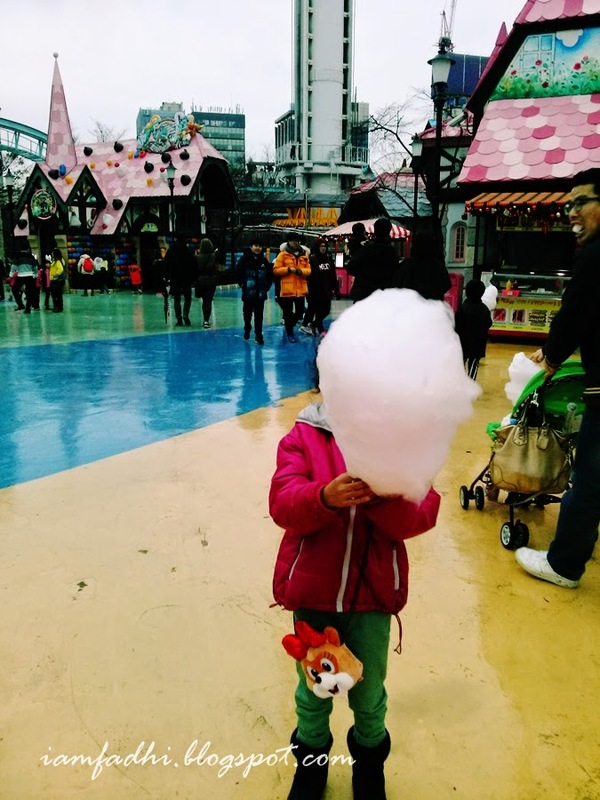 I think kids would love Everland more than Lotte World because there's safari and animal shows. It's family-friendly, really. 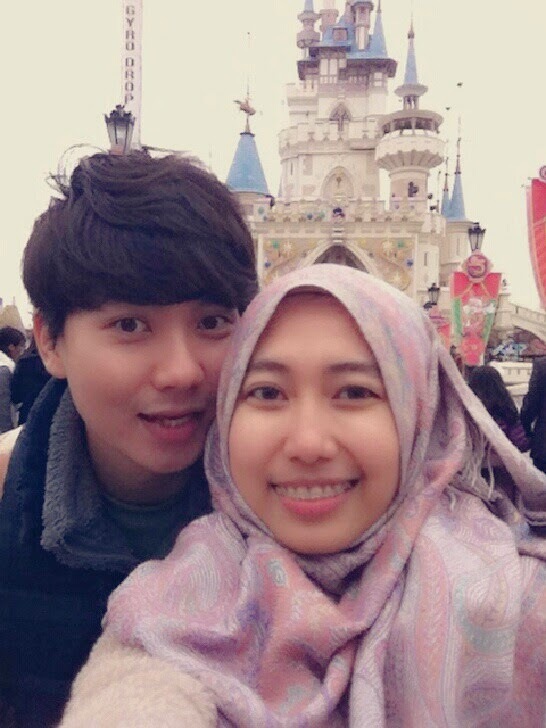 On the other hand, I saw more couples than families in Lotte World. "Do you think we can live in a castle like that later?" 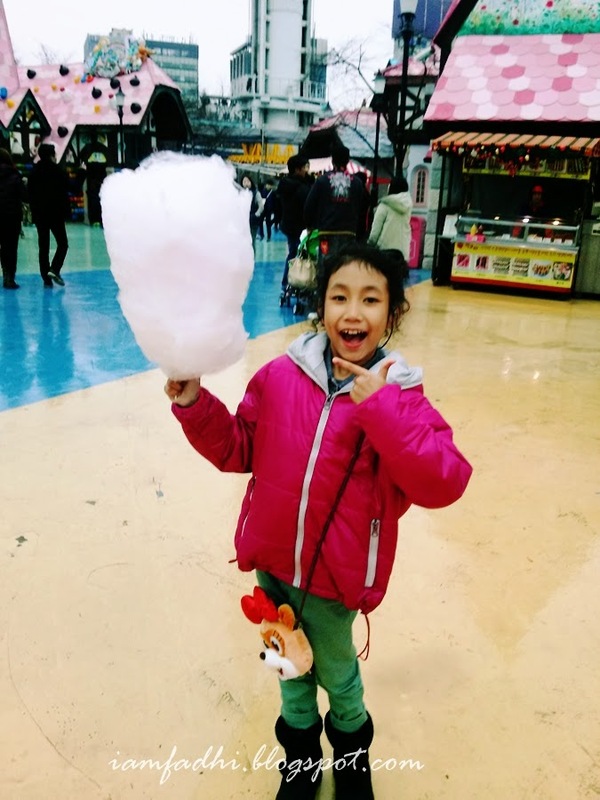 // "I build you one in the heaven, insyaallah"
I brought my youngest sister, Aishah, to Lotte World, and she still enjoyed it! Jyaan!! Oh I love cotton candy too. 4. Extra point: Everland has a prayer room! Should I say more? Hope these info will help you in making decision. **Photos of Everland were taken just recently (March, 27) when I went there for a filed trip with my classmates. Salam. Saya n kawan nak ke korea bulan 8 ni slama 5 hari. Kami buat research. Most ppl post dorg pergi sana time winter spring n fall.. Kitorg plak nak pergi time summer. Jadi kitorg cam blurr skit nk lwat tmpat ape. Can u gve some suggestions? ada x kenalan suami fadhi yg baik akhlak n ada potensi buat suami? I'm going there soon. Very soonnnn. Yeay!! is there any suggestion about halal restaurants in everland? Hello Fadhi, thank you for the write-up :) May I ask if there is any halal food in Lotte World or Everland? Or can you bring in outside food inside these parks?